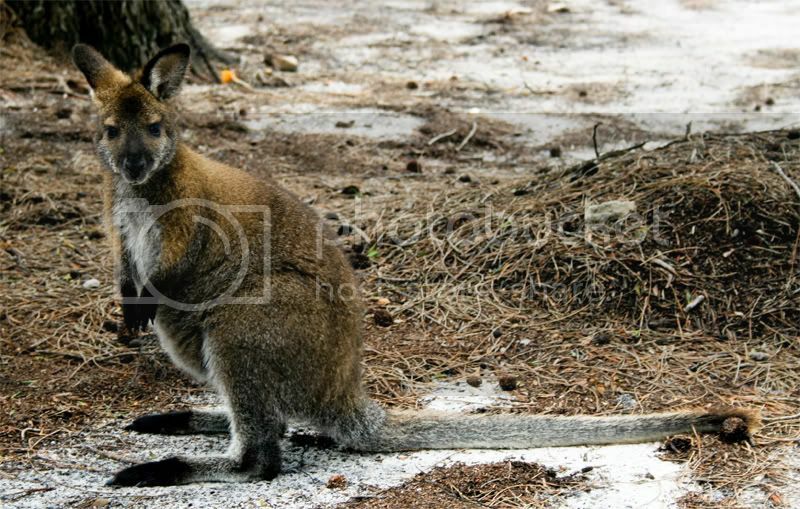 Bushwalk Australia • View topic - Wildlife Seen on Your Last Walk? I thought I would start this topic so people can share their Tasmanian wildlife experiences of interest. Near Frenchmans Cap, we had over 100 black Cockatoos screaching around us for a while - what a racket. Possums climbing into the tent vestuble while we are sitting a couple of metres from the tent, at Pine Valley. 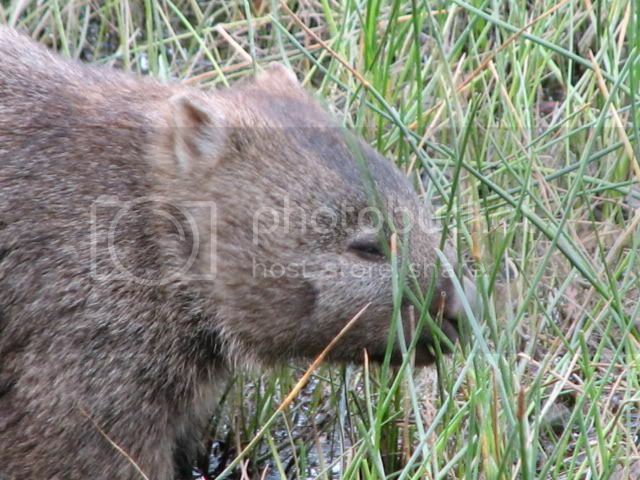 A wombat on the Overland track that came up and sniffed my wife's legs, but didn't get closer than a metre to me. 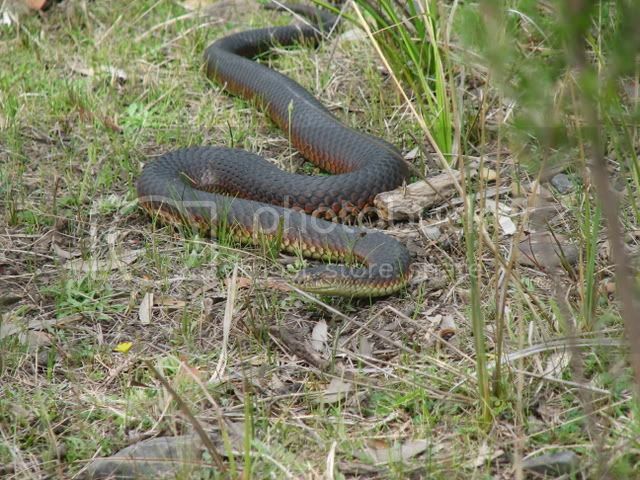 There was a tiger snake on Lodden Plains that had its head sticking out onto the track as we walked along. It flattened its head and was hissing, if I had taken one more step my foot would have been only inches from its head... Boy did I back pedal on that occasion. Mice in huts don't count! People should not put food in composting toilets - it attracts vermin. Plenty of friendly wallabies about on the popular walks, too - people feed them, they think it's cute. It can make them sick and reliant / dependant on human handouts. This is why wildlife wants to break into tents and steal our food. What are your favourite wildlife experiences? Me and a mate once had a pair of juvenile quolls chase each other round and round our legs a couple of times, before they eventually looked up and you could almost see it in their eyes... "hey, these aren't trees!!! yikes!!!" and scampered off as fast as they could. Weren't bushwalking at the time... we were out... um... gathering meat... which would also explain why they didn't like the look of us. Some years ago a friend and I were caming in the Walls of Jerusalem. She had a Macpac Microlight tent. During the night a wombat got under the fly and promptly went to sleep on its back next to Deslie's head and started to snore. She could not wake it up no matter how much she prodded it for about half an hour. It then promptly woke up and wandered off!!! That would be a couple of months ago when a cheeky Black Currawong decided to join me in the Lady Lake hut. It was interesting to see how tame he/she actually was... until he/she took a dump on one of the chairs in the hut! Then it became apparent I needed to encourage it to leave! Peak bagging points: 10. Peak bagging bagging points: 10000. Incident when climbing/scrambling out of barren rock falls near bagdad springs to mind. After a sh!t of a day in sweltering heat scrambling and falling about the place to get into the falls on way back out, totally nackered climbing back out of the gully went to grip rock at eye level when the rock moved. The rock my hand was about to grab uncurled itself and hissed. My trews felt heavier. Not the biggest ive seen but certainly the scariest tiger snake experience Ive had. i had to stand dead still for about a minute on a precarious foothold while the snake decided to leave, slowly. The other corker was the bats up at lady lake hut whilst trying to shoot star trails at night. They certainly are cute critters. I suppose they came over because we'd made the place smell um... interesting perhaps. the really special encounters for me are always platypus ones though. I love it when they rest on your foot in a stream with out realising what you are. I've learnt to stop swearing at them when I make a cast at platypus rises and stay really still. They are fantastic critters. And it managed to bite through 3 layers of clothing! Natt wrote: Does an ant count? Jack Jumper or Bull Ant (Inchman)? Or something else? Jack Jumpers are pure evil on 6 legs! Definetly an ant & definetely pure evil - I have no idea what kind. I was sitting on a rock eating lunch & hubbie declared a spider was on me - I freaked. Which meant the ant took offense (not a spider!) and bit me in retribution. My partner and I were doing the Humbug Point walk on the East Coast. We stumbled across 3 different echidnas within about 100 m of each other. They were so cool to watch and the noises they made when trying to catch ants were cute, you just have to hear it for yourself. Can someone tell me what animal this is (was)? I assume it is a carnivore from the teeth. Approx size: 220 - 300ml end to end. Last edited by ben.h on Sun 22 Mar, 2009 6:53 pm, edited 7 times in total. This one would stick its head in a hole each time I made a noise (I was trying to get close for a photo) then pull its head back out once I stopped making noise for a little while. Last edited by ben.h on Sun 22 Mar, 2009 6:58 pm, edited 5 times in total. Fantastic echidna photos. Thank you. Last edited by ben.h on Sun 22 Mar, 2009 6:59 pm, edited 6 times in total. Also on the South Coast Walk at Deadman's Bay, quoll went into our tent, grabbed a plastic bag and RAN into the bracken fern with me in pursuit. As soon as it discovered it had my phone, batteries etc, it dropped it and took off. Lucky to find that stuff. Check out "Our Hiking Blog" Overland Track guide, Food to Go-recipe ideas and Trekking to Everest Base Camp. I'd love to see the original photos (or higher resolution photos) of the tiger snake and the quoll! ben.h wrote: Cool photos frank. This link leads to a movie that was taken by a guy we met on the same trip. Called it the Tiger Snake meets a frog! http://frankinoz.blogspot.com/2007/11/t ... ation.html Might amuse you. Reckon we saw about 10 snakes that trip. Not everybody appreciates snakes. It seems also that not everybody is aware it is illegal to kill them. A tricky situation, but surely an expected problem at this time of year when you live in the bush. Also, some Black Cockatoos, the ones with yellow markings on the cheeks, tail and under the wings. I saw some with red markings years ago but never again since. Has anyone got any photos of the Black Cockatoo with red markings? or ever seen them? I'm pretty sure that the red-tailed black cockatoos are only found on the big island. We only have the yellow-tailed black cockatoo in Tasmania. Ah, cheers Nik, probably why I haven't seen one for years then! Last edited by flyfisher on Tue 18 Mar, 2008 8:06 pm, edited 2 times in total. If you don't know what I'm talking about, then you need to drink more. Once, after scrambling off the back of Mt Gould (where I had a near death experience!) I flopped down with relief on my back in a small saddle and closed my eyes. Some presence made me open them to find a wedge tail eagle hovering about 10ft above giving me a good old check out. We looked at each other for 10 seconds, I could see its eyes, it then tilted its body and glided out over the valley. As I walked up and out of the saddle it returned for another look, higher up. I had a similarly close but not quite as close experience sitting on a cliff edge in the Walls, an eagle suddenly appeared and hung suspended on the cliff edge thermals only about 10m away. Fantastic. 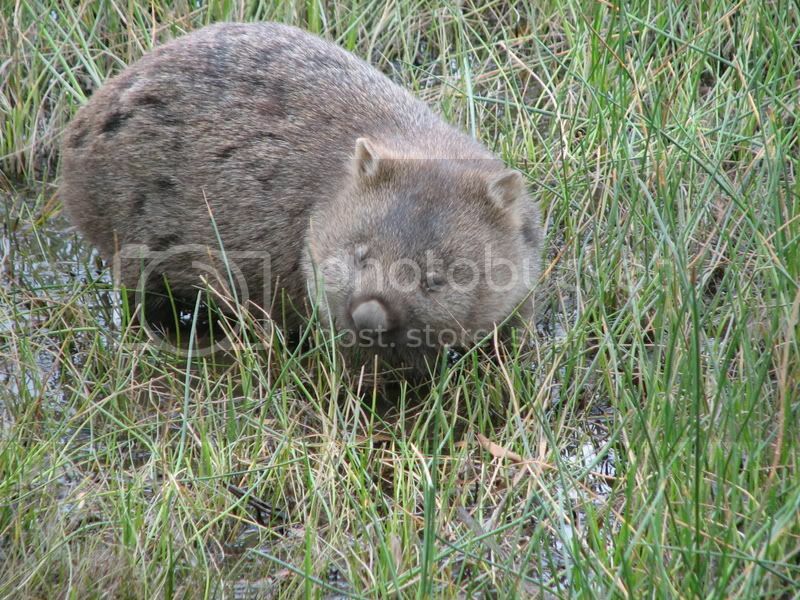 Pademelons, Bennetts wallabies, echidnas, wombats, tiger snakes, bettong (once), platypus (twice). The list goes on...and we're only able to visit Tasmania periodically. Encounters must be prolific if you live there! Quolls have been mentioned a few times so this may not be surprising. Late Feb 2006 we did a circuit at Cradle Mtn Hansons Peak, Twisted Lakes, Face Track, Horse Track etc. It was a cool windy day and the mountain was covered in swirling cloud most of the time. Stopped for lunch at Kitchen Hut and this guy kept running in and out, and around the legs of those present . I'd also spotted it earlier peering into an open pack that someone had left outside the door. 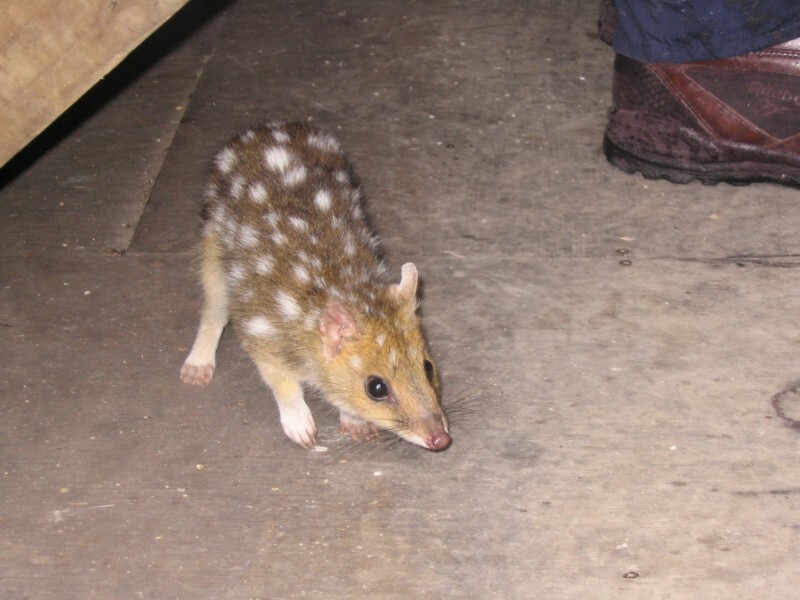 johnw wrote: Quolls have been mentioned a few times so this may not be surprising. Late Feb 2006 we did a circuit at Cradle Mtn Hansons Peak, Twisted Lakes, Face Track, Horse Track etc. It was a cool windy day and the mountain was covered in swirling cloud most of the time. Stopped for lunch at Kitchen Hut and this guy kept running in and out, and around the legs of those present . I'd also spotted it earlier peering into an open pack that someone had left outside the door. Yeah I saw those guys when I was there in January. They're cheeky little buggers, there were two of them that kept going in and out of the hut! I had the camera out ready to take a photo but something spooked them and they nicked off before I could get a shot! Last edited by corvus on Sun 04 May, 2008 6:04 pm, edited 1 time in total. Wonderful , at Scout Lodge on Cradle a couple of years ago when Hut Warden in winter I went to replace the Dunny Rolls reached up for the packet and near kacked myself when a furry thing hit my chest bounced off and landed on the sink I saw that it was a Pigmy Possum but it remained curled up and appeared dead,placed it on my bed in sunshine and saw it breathe so put it back in its Dunny roll nest and was happy to see it weeks later in a big empty rag filled paint can still comatose . What magnificent little creatures they are and they must be dormant for a long time during our winter ,please advise if you have any info on these wee beasties. ben.h wrote: Can someone tell me what animal this is (was)? I assume it is a carnivore from the teeth. Approx size: 220 - 300ml end to end. Have you found out what the skull is yet? You could email the pic to the National Museum for ID.